Having a child with brain damage can create some challenges with making sure she is getting enough vitamins, minerals and other healthy essentials in her body. She's extremely picky over what she will eat. I am really excited to introduce you to MegaFood Fresh Farm to Powder Kids Nutrient Boosting Powders. I am constantly worried about making sure my child gets enough healthy foods into her body. I am always looking for fun ways to sneak good stuff into her food. 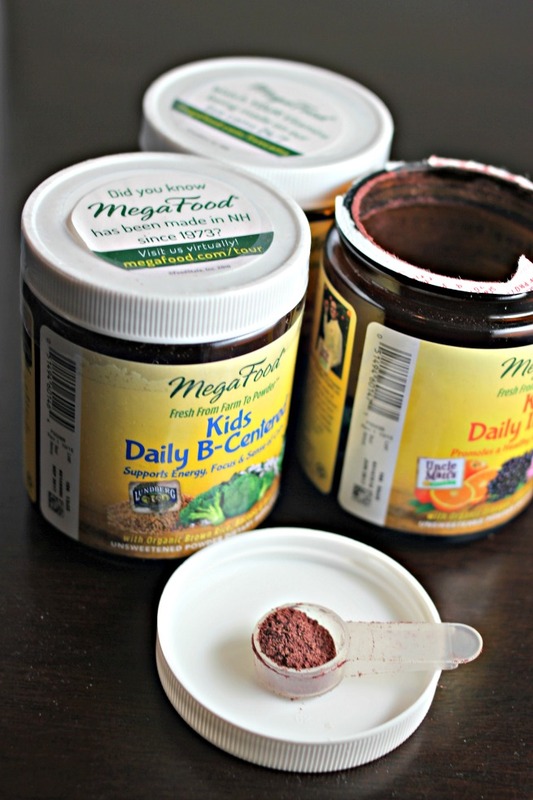 When I was given the chance to try out MegaFood's Kids Nutrient Boosting Powders, I couldn't say no. A powdered form of goodness? Heck yes. I stir a scoop into her yogurt, her smoothies, her chocolate milk and she doesn't even know. It's all about balance. Right?! The Kids Daily Multi contains organic turmeric, carrots and fresh fruits along with 23 essential vitamins and minerals. The Kids Daily Immune contains organic oranges, elderberry and echinachea. This is to promote and strengthen immune systems*. Being in a powder form makes it easier for Em to take. She doesn't swallow pills and this makes it a thousand times easier. Unsweetened. Yay! Also no dyes, sugars, flavorings, sweeteners or preservatives. My child didn't complain or whine. Whoooo hoo!!!! Honestly, nothing. I wish they were bigger containers BUT that's okay. Daily B-Centered because due to her traumatic brain injury- focus is not her strong suit. None. I feel like each product is equally important! MegaFood partnered with Kauai Organic Farms, Lundberg Family Farms, and Uncle Matt’s Organic to whip up kid-friendly powders that can be slipped into just about anything, making good nutrition just that much easier to swallow. Do your kids take a supplement? 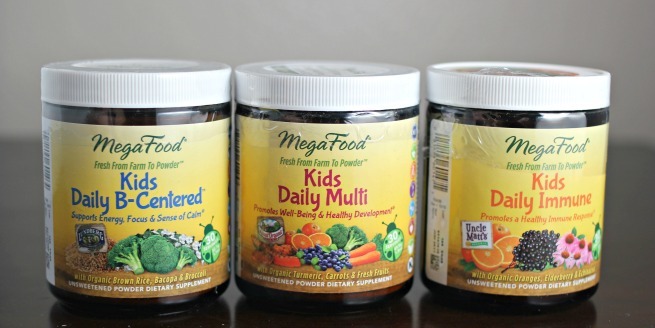 Would your kids prefer a powdered supplement like these from MegaFood?